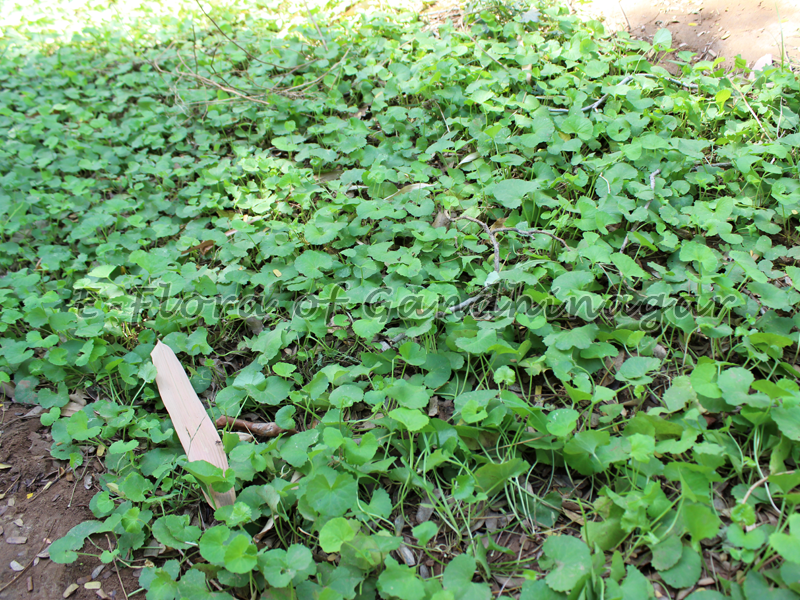 Botanical Name : Centella asiatica (L.) Urb. 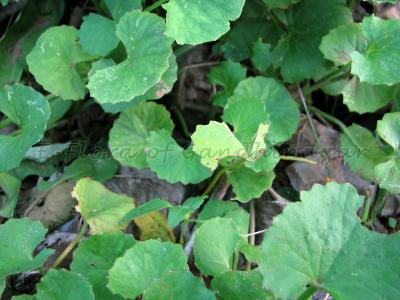 Synonyms : Hydrocotyle asiatica L.
Habit : A small creeping herb. Stem : Slender, rooting at nodes, reddish. Leaves : 1-4 from each node, orbicular-reniform, entire or crenate, base cordate, petioles chanelled, stipules adnate to the petiole, forming a sheathing base. 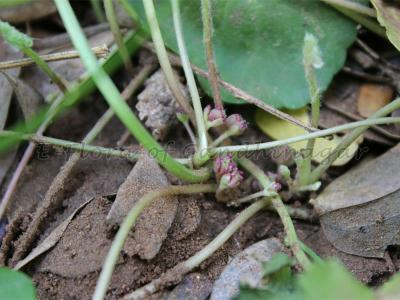 Flowers in fascicled umbels, each umbel with 3-4 flowers, bracts 2 below each umbel. Calyx-teeth 0.Petals 5, imbricate, pink. Ovary inferior, 2-celled, 1-ovuled, style 2. Fruit : A cremocarp, ovoid with thickened pericarp. The dried leaves are used in leprosy and other skin diseases. 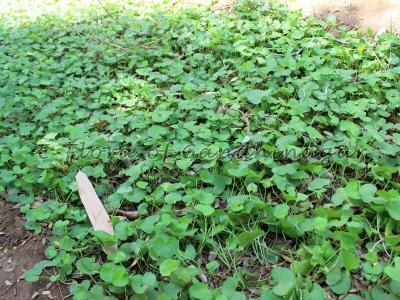 The leaves are also used in hair oil as cooling agent and sedative to nerves and brain.